Our bone-in Spiral-Sliced Ham is slowly smoked over hickory chips, which gives it a rich flavor and retains its natural juices. We never use artificial smoke or add water. 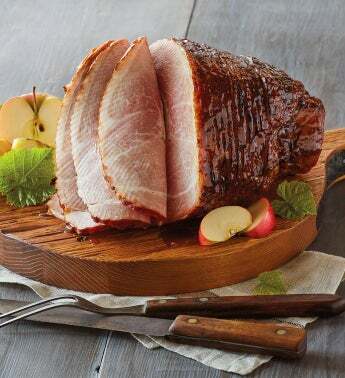 Precooked and spiral-sliced to the bone for easy carving, our ham is delicious served hot or cold. The optional glaze enhances the natural flavor and adds a touch of sweetness.